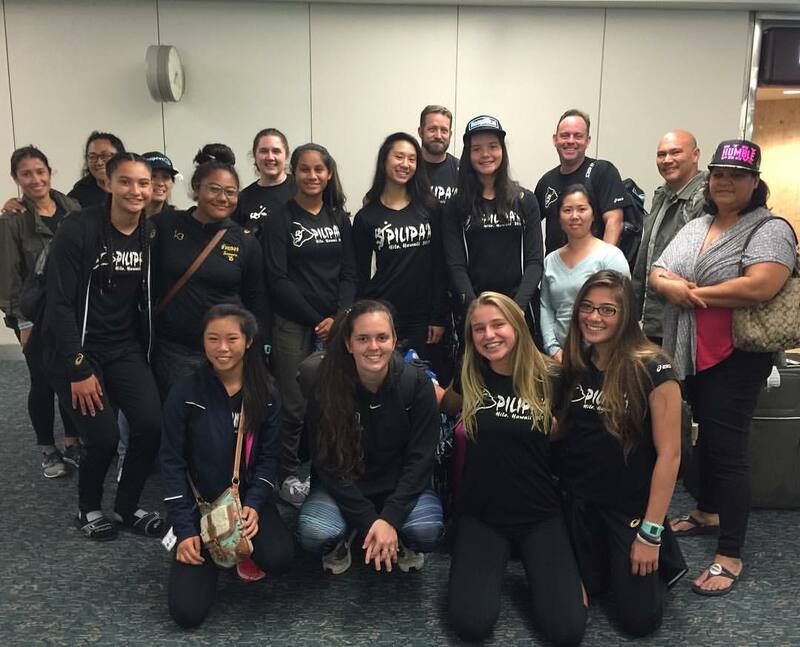 It was a long haul for many of the Pilipa’a team members and ‘ohana that departed Wednesday night on a red-eye flight out of Hilo headed for Orlando, Florida for the 43rd Annual AAU National Championship. We arrived in Los Angeles on schedule, however we were grounded and deplaned on our second stop in Houston due to the President’s travel schedule in Orlando. Pilipa’a endured a several hour delay which resulted in our late arrival Thursday evening where we were met by other team members and ‘ohana. We made our way to our 5-bedroom vacation house and unloaded quickly before heading out for a late team dinner. 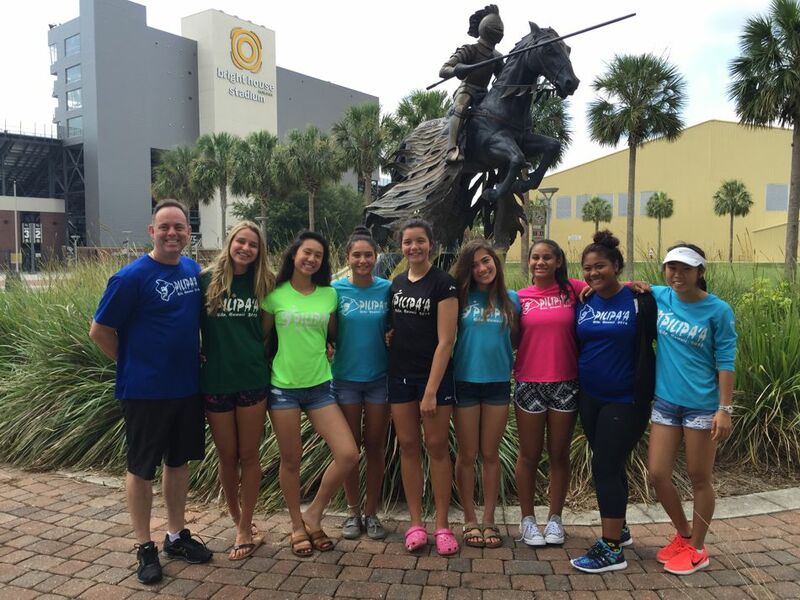 University of Central Florida where the girls got to tour the campus and visit with UCF Women’s Volleyball Associate Head Coach Jenny Maurer. The rest of the afternoon was fairly relaxing with the girls getting an opportunity to swim and enjoy the air hockey and pool table at the house followed by lots of laughter at team dinner. Curfew will be early tonight. We will register for the tournament in the morning at the Orange County Convention Center before heading to the Wide World of Sports facility for out first and only practice prior to the start of the 43rd Annual AAU National Championship. The game schedule is posted on the top of Pilipaa.com and we’ll try to post daily scores/updates. We have also added a Instagram gallery to the home page of Pilipaa.com so you can see some of the pictures from the trip. You can also follow us on Facebook, Twitter and Instagram.